Your dining table chairs are a key component to one of the most convivial parts of your home. Your dining room should be a comfortable place to bring family together and entertain guests in a casual setting. Some of the best memories you’ll make in your home can occur in the dining room; therefore, having comfortable and inviting seating is critical. 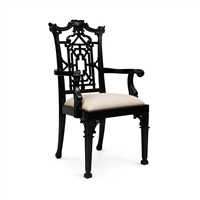 We offer a wide selection of breakfast chairs for your kitchen bar, dining room chairs with arms, wooden dining chairs and upholstered dining room chairs specializing in style and comfort. 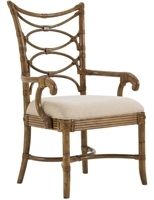 Our dining room chairs with arms may be reminiscent of a tropical island setting with their intricate designs, woven-back styling, and golden-sand coloration. Our comfortable and beautiful seating will invite your guests to relax and linger after dinner is served. 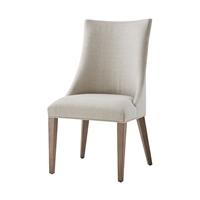 Find a wide selection of dining room chairs to add to your home today!